The turbocharged 908 was not a factory built car. The private teams had ran their 3-litre 8-cylinder 908/03's successfully up until 1974 and for 1975 season the 2.1-litre 6-cylinder turbocharged engines were available from Porsche. Porsche had built the 2.1-litre engine for the 1974 911 Carrera RSR Turbo racing car and started selling the engines after the 1974 season. 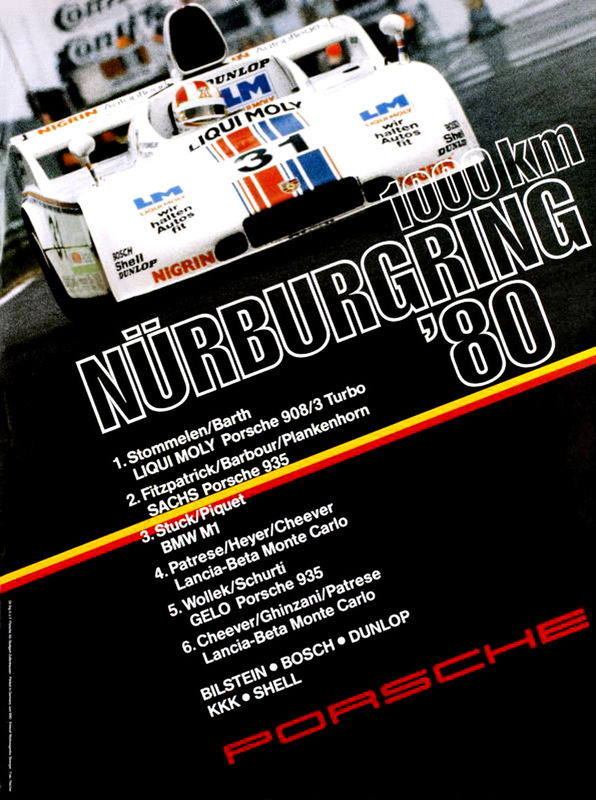 As the 908 Turbo wasn't a Porsche factory product, there is no official name for it. For the first race, the Mugello 1000 km on March 23, 1975, some teams signed the cars up as 908/6 Turbo using Porsche's naming system where "/4", "/6" and "/8" was used to show the number of cylinders. For this very reason Porsche had named its cars 908/02 and 908/03 and not 908/2 nor 908/3. So, calling the car as 908/6 Turbo is at least correct, while some teams called their cars as 908/3 Turbos, losing the "important" zero. Considering the said, it is most correct to call this car as 908/03 Turbo or 908/03 Spyder Turbo or 908/03 Turbo Spyder. Four cars in total were converted to Turbos - chassis 006, 008, 011 and 013. As the cars were built by the teams, they all looked different in details and the same car could be fitted with different bodywork for every season or even race. Chassis born as 1970 908/03, but not used in any race. For 1975 season sold to Dr. H. Dannesberger racing team together with the 2.1 turbo engine. At the debut race - Mugello 1000 km - on March 23, Herbert Müller/Gijs van Lennep scored 3rd. Dannesberger team ran the car successfully throughout the 1975 season: 7 podiums incl. 2 victories. In most cases the podium places were delivered by Herbert Müller, but also Jürgen Neuhaus and Leo Kinnunen. Müller won the 1975 Interserie championship. The car disappeared from international racing scene for 1976-1977. It found new owner and Porsche Kremer Racing team entered it again for 1978 season. Bob Wollek drove it to a victory in one race and finished second twice. Later in the history the car was restored to 1971 specification, although it never competed in this trim. Born as '70 908/03, it won the first race entered, the Targa Florio on May 3, 1970 and four weeks later it won the Nürburgring 1000 km. Porsche used 908/03's only on Targa Florio and Nürburgring. The car was entered again in 1971 (in '71 spec trim). In Targa Florio it retired due to an accident, but the 1971 Nürbugring 1000 km it won again! Three major victories in one year's time threw this machine immediately into Porsche's hall of fame, but... that wasn't yet everything this car could achieve, not by far. 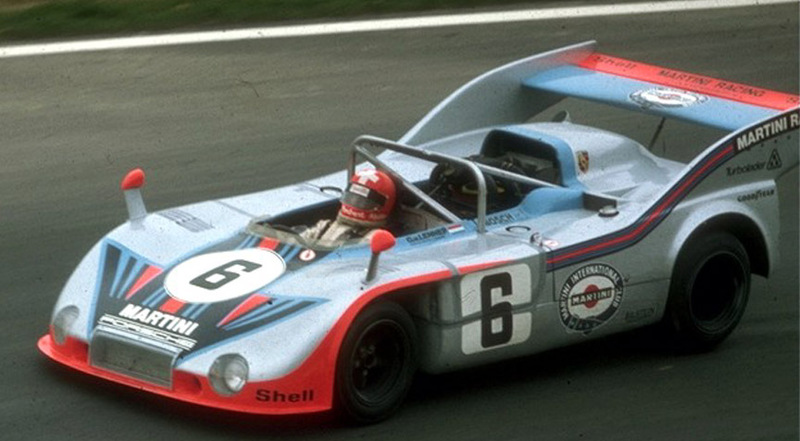 After the 1971 season factory sold the 908/03s to private teams. How much in a need of a money they had to be to sell such a victor that had earned its place in the museum!? But the next owner couldn't be any better - mr. Reinhold Jöst! He drove himself and later ran his own racing team. Mostly in the hands of Jöst himself, the 008 consequently achieved 1972 Monza 1000 2nd, Interlagos 500 1st, Interserie Nürburgring 2nd, 1973 Interserie Nürburgring 3rd, Norisring 3rd, Misano 3rd, Kyalami 9H 1st, 1974 Neubiberg 1st and Interserie Nürburgring 3rd. After the 1974 season the normally aspirated-era ended and the car was converted to 2.1 turbo, for it to conquer the race tracks even more fiercely than before. Its first turbocharged race was Dijon 800 km on April 6, 1975, where 2nd position was achieved. Other race successes in 1975 included Monza 1000 2nd, Pergusa 1000 3rd, Zeltweg 1000 3rd, Interserie Hockenheim 2nd, Coppa Citta di Enna 1st. For the 1976 season the car received a new body with different front-end, long tail and without the large air scoop. 1976 brought Nürburgring 300 1st, Interserie Hockenheim 1st, Salzburgring 200 3rd, Interserie Nürburgring 1st, Interserie Mainz-Finthen 3rd, Interserie Hockenheim 1st. For 1977 season the large air scoop was back and car was painted red. 1977 brought surprisigngly few podiums for Jöst: Interserie Nürbugring 3rd, Interserie Ulm 1st and Interserie Hockenheim 3rd. For 1978 the car got a new body again. Now it looked like in 1975 except with the 936-style large airscoop. It was painted white and Liqui Moly sponsor decals were added. There is no way of going around the unbelievable achievements again: 1978 Nürburgring 300 2nd, Monza 200 1st, Interserie Colmar-Berg 1st, Vallelunga 400 1st, Interserie Kassel-Calden 2nd, Interserie Ulm 1st , Interserie Nürburgring 1st, Salzburgring 1st. And it got even better, the following two seasons were sensational: 1979 Dijon 6H 1st, Interserie Nürburgring 1st, Brands Hatch 6H 1st, Interserie Ulm 1st, Interserie Hockenheim 1st, Interserie Kassel-Calden 1st, 1980 Nürbugring 1000 1st, Interserie Zeltweg 1st, Interserie Most 2nd, Interserie Kassel-Calden 1st. The 008 car was ran until 1983 with the following notable results: 1981 Kyalami 9H 2nd, 1982 Interserie Nürburgring 2nd, DRM Mainz-Finthem 3rd, Interserie Zeltweg 3rd, DRM Salzburgring 3rd, Interserie Nürburgring 3rd, Interserie Siegerland 1st. The last race it was entered was on AVUS on May 1, 1983. The car had to retire because of the broken rear axle. So this 908/03-008 had been raced continuosly for 13 years between May 3, 1970 and May 1, 1983. Its achievements' list consists of over 50 podium places including around 30 victories. It was probably the most achieving Porsche (or any racing car) in the world. It was later restored back to its original 1970 Targa Florio form. The history of this car is not so clear. It is said, the 1970 908/03-011 was crashed and scrapped and that Siegfried Brunn had built a new 908 Turbo with the same chassis number - hence why it is sometimes called the "011A". It was raced in 1982 and for 1983 it got a 2.6-litre and won the Thundersports Easter Monday event at Brands Hatch driven by Derek Bell/Siegfried Brunn of Siggi Brunn Racing. The car looks like the last version of the 908/03-008 Turbo. It is the sole 908 Turbo exisiting as it hasn't been converted back to '70 form. Born as a '71 908/03 it was converted to Turbo and ran in a few races in 1975 and 1976. Later bought by Siegfried Brunn, who converted it to a 2.6-litre and installed the 936-style air scoop. At the 1981 Silverstone 6 hours Siegfried Brunn/Eddie Jordan finished 3rd. The car was later converted back to '71 trim, although it didn't have any notable finishes in the past (except maybe the 1973 Le Mans 5th position).